The 1998 flooding along China’s Yangtze River killed more than 3,700 people, left 15 million homeless and caused $36 billion in property damage. The effects of the deadly waters were intensified by decades of deforestation, overgrazing and erosion, causing rivers and wetlands to fill with silt. In response, China launched the world's largest investment in ecosystems, spending $150 billion since 2000 to pay more than 200 million people to plant trees, change farming practices and move out of sensitive areas. For Gretchen Daily, a Stanford University ecologist and researcher, the move is a dramatic statement by the world’s second largest economy about the value of natural capital. What’s natural capital? It’s the benefits nature provides, the good and services including clean water, clean air, flood control, and storm mitigation—irreplaceable services, she argues, that have been taken for granted throughout history. "The values of nature have always been kind of hidden," Daily says. "They've often been expressed in terms of infinite value—nature is so precious that it can't be measured—or zero value. Nature is not relevant. So nature didn't appear anywhere in a cost-benefit analysis." So a decade ago, Daily co-founded The Natural Capital Project, a partnership of Stanford University, The University of Minnesota, The Nature Conservancy and the World Wildlife Fund that brings together academics, software engineers and other professionals to integrate the value nature creates into policy decisions. The organization has more than 50 projects in places ranging from Rwanda to the coastal United States to the Caribbean and Latin America. "What we wanted to do,” she says, “was shine a light in a really rigorous, transparent, standardized way on the connection between people and nature." The message is that investing in nature’s services is a cost-effective strategy with measurable returns. Governments, corporations and others, Daily says, are making nature a core part of business strategy to reduce risk and generate economic opportunity. Sometimes those returns are measured in dollars. 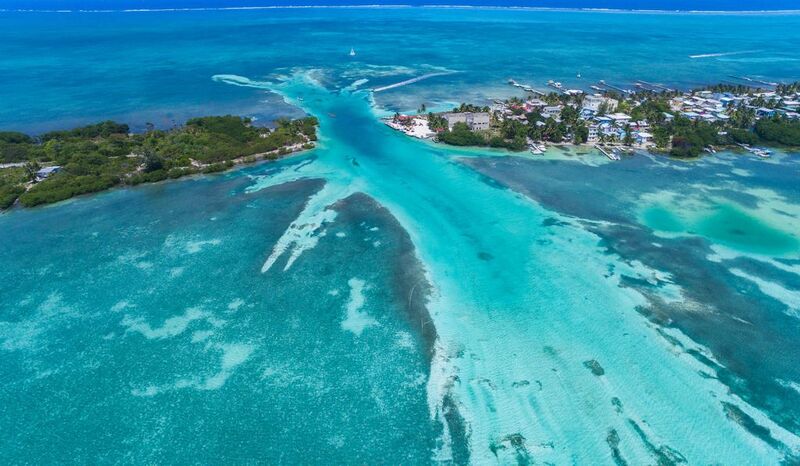 Planners from Belize and scientists from The Natural Capital Project working on a coastal management plan, for instance, determined that the current ecosystems protect the shorelines from about $5 billion in erosion damage annually. Sometimes, they’re framed in terms of human health, economic development and security. A massive reforestation project in Brazil will protect clean water for more than 120 million people, lay the foundation for a sustainable forest industry and remove 200 tons of carbon dioxide from the atmosphere annually. In Africa, Asia and South America, recent studies suggest preventing deforestation will decrease the likelihood of pandemics like the Zika virus. 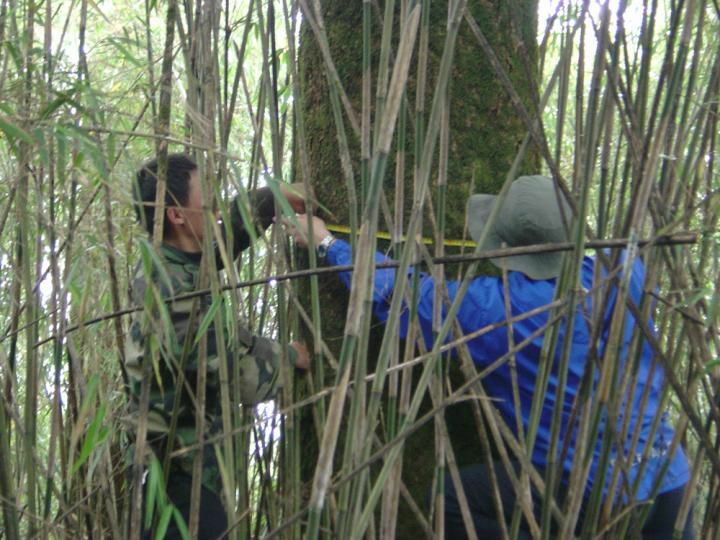 For Daily, China is a case study, showing how ecosystem services can be restored with government funding while also improving people’s livelihoods. Rather than rely on an engineering solution like more dams, the country invested in natural solutions. The programs increased forest coverage on steep farmlands, restored floodplains by removing embankments to increase floodwater retention, and resettled farmers by building new towns, providing them with jobs. There is still a long way to go, Daily says, but the results are encouraging, proving that improving ecosystem services and economic growth can coexist. The country now has the highest reforestation rate in the world. A recent study co-authored by Daily and published in the journal Science found the programs increased carbon sequestration by 23 percent, soil retention by 13 percent, flood mitigation by 13 percent and water retention by 4 percent from 2000 to 2010, translating to future protection from storms. Incomes have increased in some areas as farmers move from unsustainable activities into products like fruit and vegetables, wild-caught fish, silk worms and bamboo shoots. China, Daily notes, is the first country to launch a pilot project to track a new metric that values the services and products nature provides, Gross Ecosystem Product (GEP), alongside Gross Domestic Product (GDP). The project is not without growing pains. Fast-growing non-native trees like pines and poplars were planted, but transitioning to native species would yield more durable benefits. And there will never be enough trees to fully clean China’s air, Daily says. The concept of valuing ecosystem services and investing in them is not new. John P. Holdren, a one-time science advisor to Barack Obama, lectured about it to students in his environmental problems class at the University of California, Berkeley, in the 1970s. In 1997, Robert Costanza, now a professor of public policy at the Australian National University, and others published a paper estimating that ecosystem services worldwide were worth an average $33 trillion annually, nearly twice the global GNP of $18 trillion. Just because a few ecologists and economists slapped a value on nature’s services didn’t mean anyone wanted to invest in them. After all, they used to be “free.” For years, Daily says, there were two cases showcasing the value of investing in nature's services. It wasn't clear they could be replicated elsewhere. 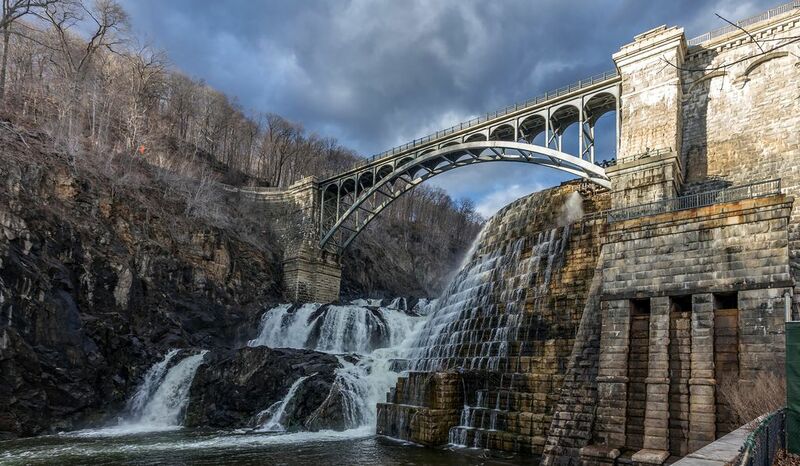 One was New York City's water supply, which flows into reservoirs from the Catskills. The city spent more than $1 billion paying landowners in the watershed to change their land management practices and to buy conservation easements. It was expensive, but far less expensive than spending $6 to $8 billion to build a water filtration plant. The second was Costa Rica, which in 1996 began paying landowners $42 per hectare to preserve forest. At the time, it had the highest deforestation rate in the world. Now, its rate is among the lowest. Tourism today comprises more than 12 percent of the country’s GDP. Visits by tourists have increased from 781,000 in 1996 to nearly 2.7 million in 2015. Daily says the increasing number of major natural disasters like the Yangtze flood, climate change and the depletion of natural capital means the trends are coming together to make it the right moment to embrace natural capital. Governments, businesses and other organizations are increasingly embracing the value of nature. The United Kingdom created a Natural Capital Committee to advise the government in 2012. The committee's most recent report noted, for instance, that restoration of 140,000 hectares of peatlands would net benefits of $750 million over 40 years in carbon sequestration. Last October, the Obama administration ordered agencies to develop policies to promote consideration of ecosystem services and launched a natural capital web site. The government of Colombia requires an assessment of ecosystem services for any projects that involve the use and exploitation of renewable natural resources including any oil and gas, mining, construction of ports and railways and energy projects. The World Bank committed loans for $32 billion to fund natural capital projects across the globe ranging from preserving West Africa's coastal ecosystems to managing the fisheries and habitats of Micronesia. Swiss Re, one of the world's largest reinsurance companies, is working with the Nature Conservancy on risk assessment models incorporating natural capital. Healthy marine ecosystems mitigate flood damage. In the future, Daily notes, insurers might spur investment in wetlands by setting higher premiums in areas where they are degraded. "If we're successful in this movement, it will become mainstream to think about all the values of nature just like we think about all the other aspects of wealth, like investment capital or human capital or health and knowledge," Daily says. "We're much more systematic in those realms. We're just in the infancy of thinking systematically about natural capital." In the early days, natural capital often was pegged as putting a price tag on nature. But Daily says that's rarely the case now. It's more about understanding the connection between human actions and natural capital. "In most of our work, we find decision makers want to know how many people are drinking contaminated water today and if we invest in upstream reforestation how many people will benefit,” she says. “It's not about slapping a price on nature. It's about how you allocate whatever resources you have to achieve your goal." One example of that is the coastal management plan in Belize, adopted by the government earlier this year, and shepherded by The Natural Capital Project. Working with planners and stakeholders in Belize, they developed three scenarios—conservation, informed management, and development—and created maps and charts with revenue projections. The development scenario, according to The Natural Capital Project's modeling, brought in high revenues, but increased property damage from storms. The conservation scenario caused fishing revenues to rise, but growth from tourism was minimal. In the middle, the informed management plan tripled tourism revenues, mitigated storm damage, and increased fisheries revenue. The model showed that the best return came with targeted development but also protected shorelines. "Investment in people and infrastructure is an important part of all this," says Katie Arkema, the Natural Capital scientist who worked on the project. "This idea of natural capital isn't just about those ecosystems. It's about how they interact with social and human capital." Daily says that the state of the natural capital movement makes her think of Carl Linnaeus, who in the 1700s founded the science of modern taxonomy.